Can ship anywhwre in Asia. Can ship anywhere in Asia. We breed the best to the best. 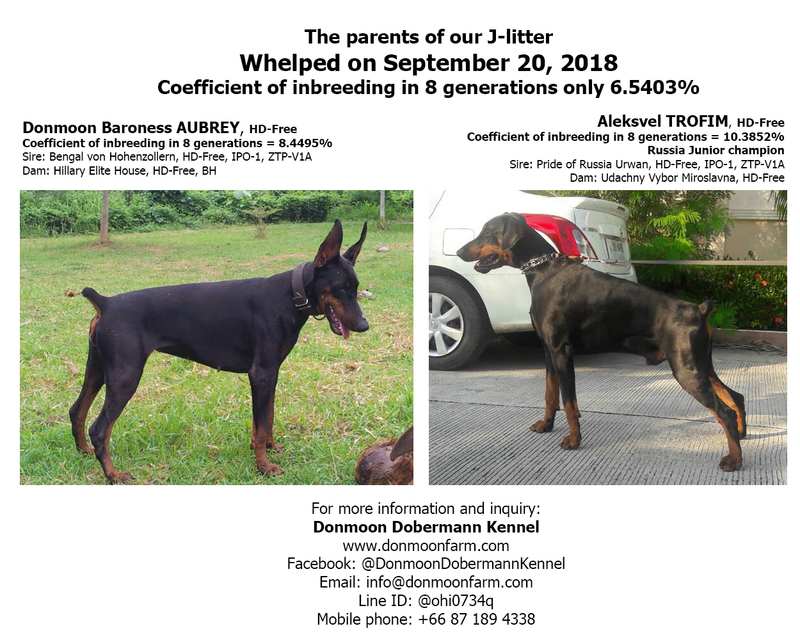 We will not breed Doberman without Hip evaluation. 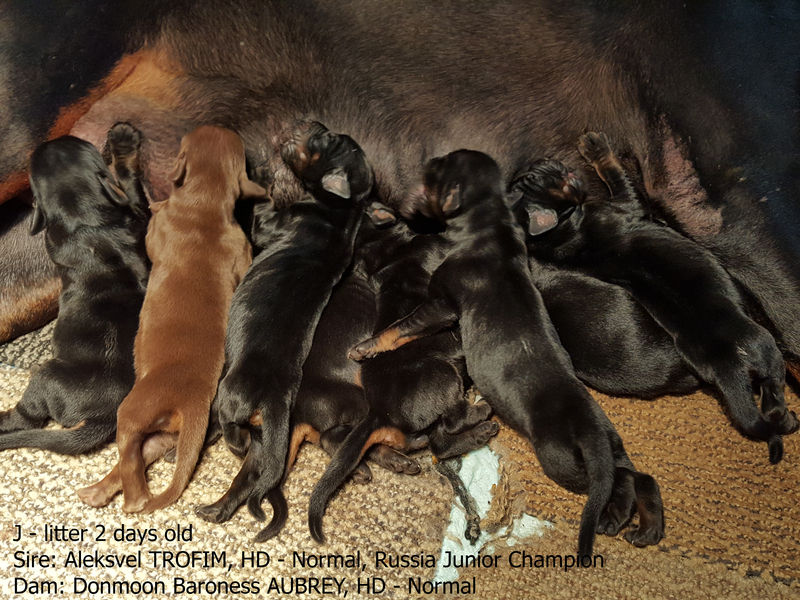 Galleries of B-Litter 40 days old. We are now accepting reservation. 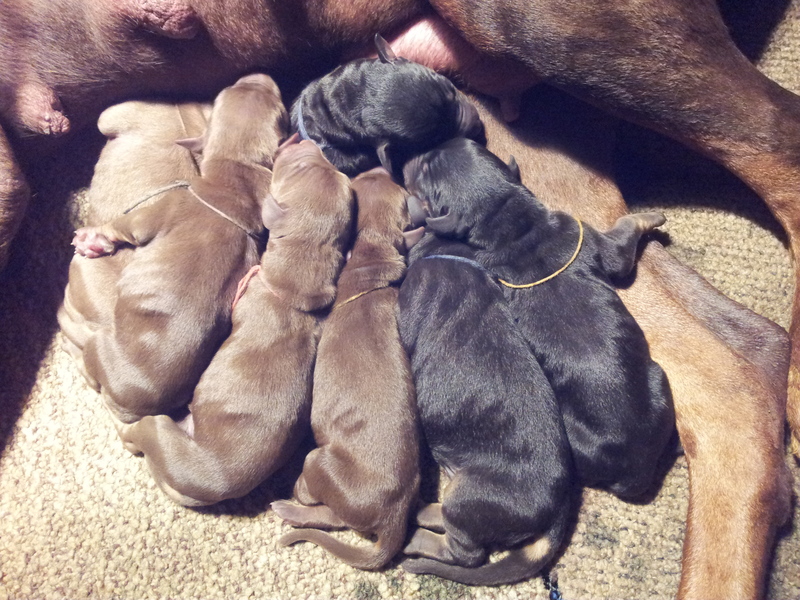 November 12, 2012, We have puppies. 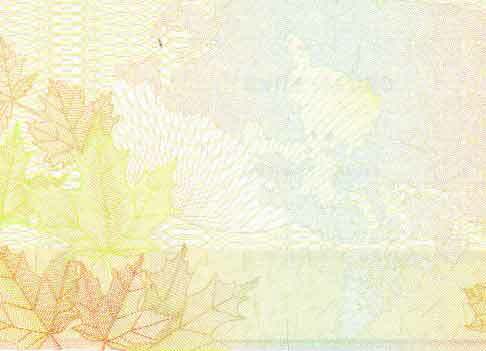 More information of the combination. 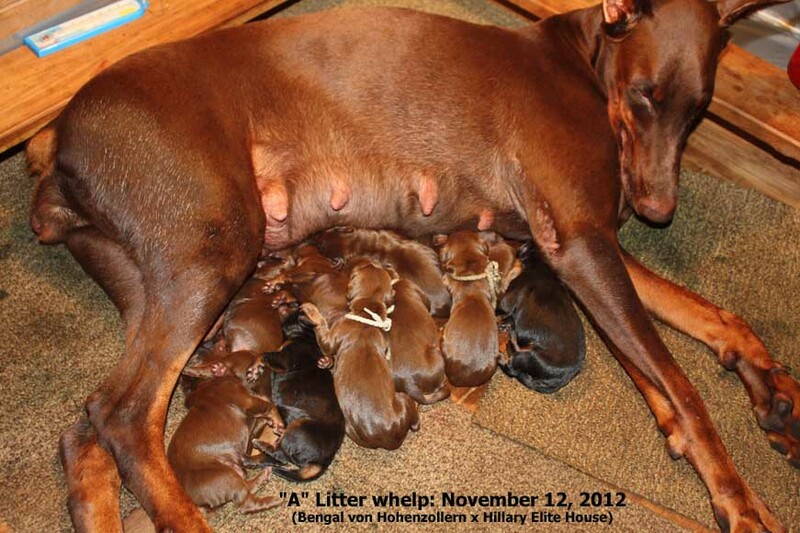 November 2, 2012 Ultrasound image and X-Ray - Hillary Elite House's pregnancy at 52 days. November 2, 2012 More info. New photos- Hillary Elite House will due to whelp in another 2 weeks. October 26, 2012 Hillary Elite House had undergone health checked and ultrasound for the development of the fetuses (45 days of pregnancy) More info. October 12, 2012 Hillary Elite House had undergone health checked and ultrasound for pregnancy confirmation (30 days of pregnancy) More info. 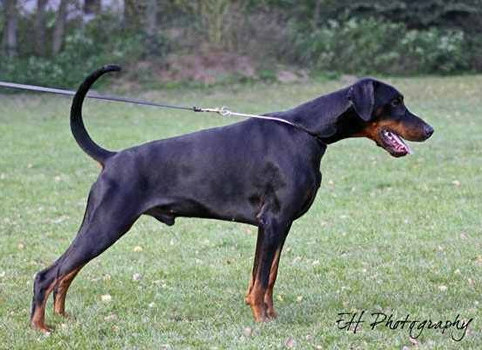 October 7, 2012 Bengal von Hohenzollern's new video in his Obedience training for IPO 3 More info. 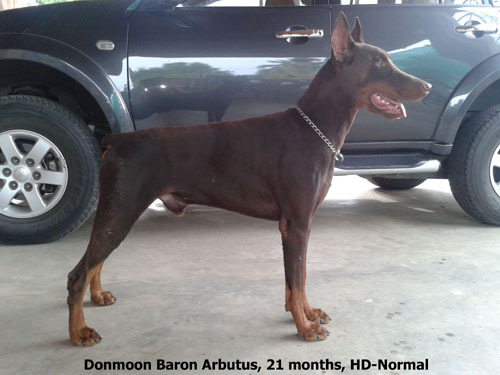 October 3, 2012 Bengal von Hohenzollern's new video in his daily Obedience training More info. 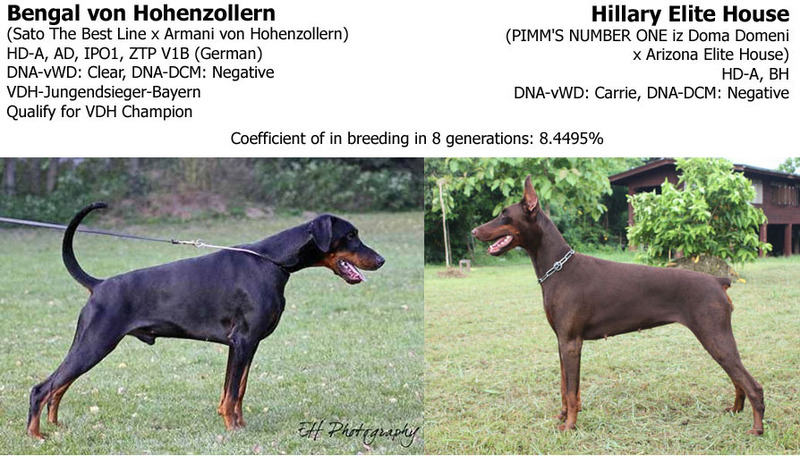 September 11, 2012 We've mated Hillary Elite House with Bengal von Hohenzollern More info.